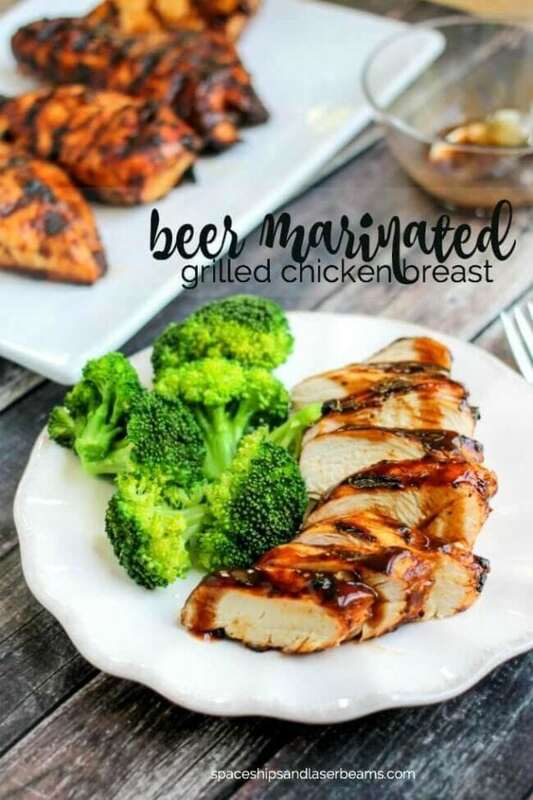 This grilled chicken breast has the perfect flavor thanks to a beer marinade! I love to cook but on some days it is simply too beautiful outside to want to stay inside. Good weather doesn’t seem to diminish appetites, however. In fact, I think sunshine might make appetites grow! Those are the days I pull out our grill and enjoy the best of both worlds. At our former home, we had a great backyard setup for grilling. Not only was there a deck, we also built a pergola. None of that is in place at our new house yet but I still have my grill—and I know how to use it. For dinner I grilled beer marinated chicken breasts (served with cornbread or cheese biscuits.) Awesome taste and it’s ridiculously simple. The crowds roared! RELATED: Check out this baked salmon in foil for another delicious meal you can make on the grill. Well, at least Mike and Sam were super appreciative. Compliments are a good way to ensure grilled dinners keep coming. Great seasoning helps make a great meal. 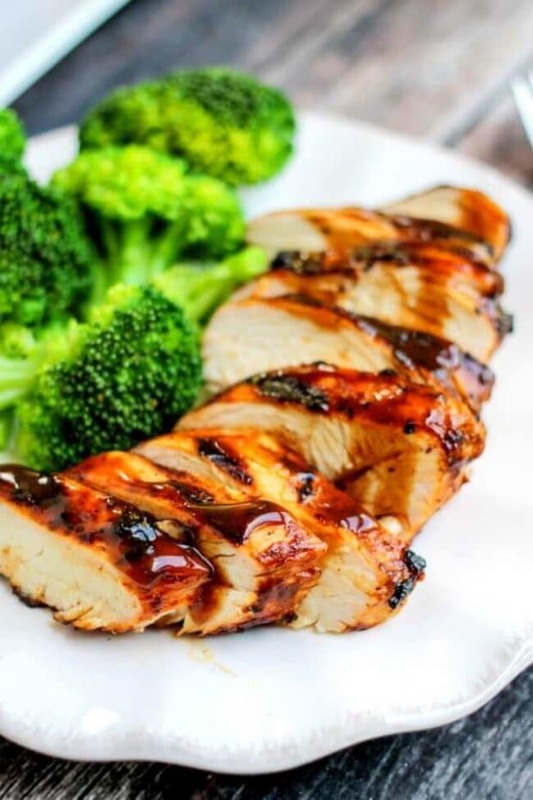 For this grilled chicken breast marinade, I’m using just two ingredients! A packet of KC Masterpiece BBQ Sauce Mix & Dry Rub plus beer. 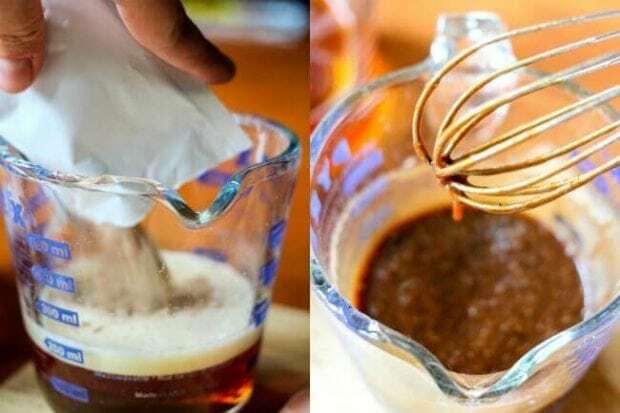 It’s versatile because you can use it as a dry rub or combine with a favorite liquid — like beer or juice — to customize the flavor to make it your own creation. I like to marinade my meat overnight so the flavor has plenty of time to soak in. I fire up my grill and put the chicken on, evenly spacing the meat apart. Grill over direct, medium heat for 6-8 minutes on each side. Internal temp should reach 165 degrees. This easy dinner is a favorite for us that we have often in the warmer months while we spend a lot of time outside. I’ve served it with this Macaroni Salad and steamed veggies — everyone loves it. This Classic Coleslaw also makes the perfect side dish! We also love these delicious One Pot Paprika Chicken Thighs. Our whole family enjoys this Creamy Garlic Chicken recipe as well. Chicken breasts don’t have to be boring thanks to this yummy dish! You’ll be amazed how easy and tasty this Chicken Cordon Bleu recipe is. This simple family favorite will leave your mouth watering for more! 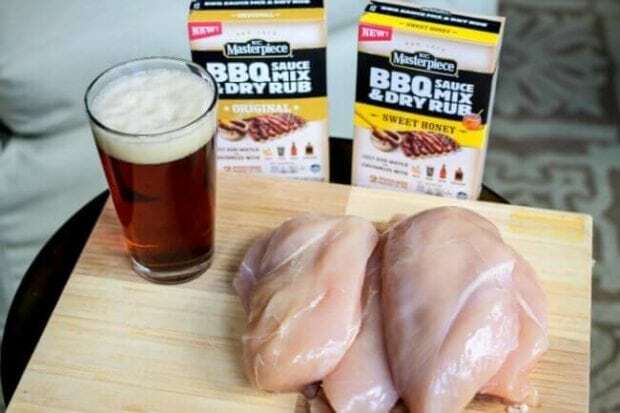 Mix two pouches of KC Masterpiece® BBQ Sauce Mix & Dry Rub with 1 1/2 cups of beer. 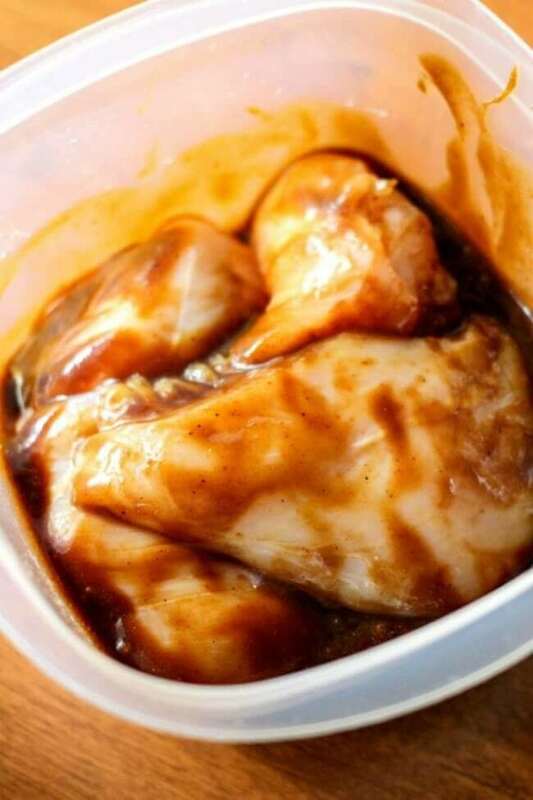 Marinate chicken with half the marinade for 30 minutes if you’re in a hurry, or a couple hours if you have time. Reserve the other half of marinade for brushing while grilling. 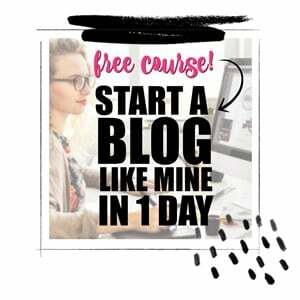 This recipe is so easy to make! love it!